There’s a lot of competition to find great deals on local Kansas City Kansas foreclosure properties. 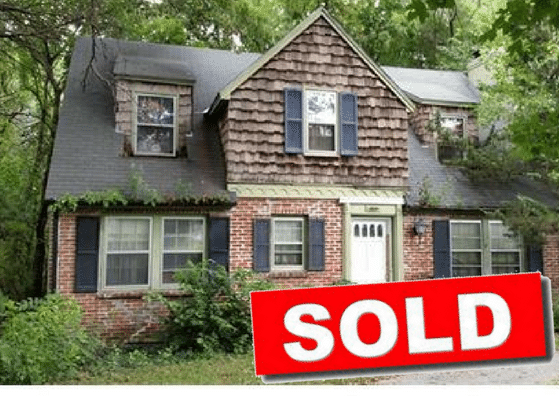 Vacant, Estate Home, on Metcalf in Overland Park, that had grass and trees growing in the gutters – we listed and sold in 1 day. There’s a lot of ways to access local foreclosure data in Kansas City and your surrounding area – and foreclosure.com does a relatively good job of combing through default notices, bankruptcies, tax sales and distressed asset lists. The main drawback with online resources like that is there tends to be a lag time in the time they get the info online… so the data can be a bit old sometimes. So you might also want to look a HUDHomeStore.com or HUBZU.com. Most of the publications in Kansas City are indexed and captured online, but every once in a while a lender will mistakenly only publish in a smaller circulation if they think it meets the legal requirements. These notices are the notices of default that lenders are legally required to publish in public record. Those are one of the first places you can find out about a foreclosure. You will find lists of houses going to foreclosure auction in the Independence Examiner and the Pulse Legal. When you’re starting out as an investor in Kansas City Kansas, you’d better not burn any bridges – especially with the power real estate brokers in this town. 5. Find niche specialists like our firm who know how to find good deals and skip the whole foreclosure issue completely. We go out there and hit the pavement so to speak on the information super highway and work really hard to get people who are very motivated and have a problem, like folks in foreclosure to give us a call and tell us about their house. We sift through all the bad deals to get the one or two truly good deals and then we get them under contract to assign to our buyers or we just buy it and list it on the market. Because we are Realtors, we will sometimes list the property as well. The properties we advertise are GOOD DEALS, so they go fast. We send all deals and listings out to our buyers list first before we mass market or put in MLS, so our buyers get first crack. We’re focused on building a small, tight network of long-term investors who want to purchase credible real estate investments in Kansas City and across the entire metro including Johnson County, North of the River, and Eastern Jackson County. We find deep discounts and pass them along – while keeping a reasonable return that allows us to stay in business.